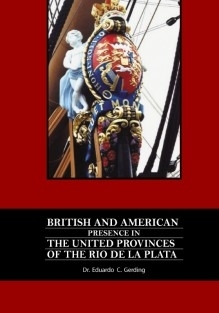 This is a remarkable book which describes with great accuracy the role of British and American citizens in the United Provinces of the Río de la Plata. Eduardo reminds us how very close have been the relations historically between Britain and Argentina, and he introduces us admirably to the extraordinary world of the business venturers who made new lives for themselves and their families thousands of miles away from home. This was a time of courage, loyalty, risks and romance instilled forever in the Argentine history.